Q&A: If Elected Sofia Mayor, What Would You Do about...? Here are the solutions that the top five candidates for Sofia mayor suggested to the city's gravest problems in various public appearances in the media during their pre-election campaign. The new mayor of Bulgaria's capital will be elected on October 23. If elected Sofia mayor, what would you do about safety and security? Yordanka Fandakova: In every big European city there are CCTV cameras installed everywhere – in the subway, along the streets. I strongly oppose the installation of video surveillance inside buildings – administrative buildings, schools. Sofia is the first municipality in Bulgaria, which established a municipal police right after legislative changes allowed it to do so. Its obligation is to guard public events and places where many people gather. My aim is to expand its staff and operations. My plan is to provide parks and gardens with CCTV cameras and enough lighting. I don't think fencing the gardens and parks is a good idea since it is very expensive. Georgi Kadiev: Ensuring the security and safety of Sofia citizens and its guests should get the lion's share of the municipality budget. I consider CCTV footage to be very important in the combat against terror and crime having in mind the pace at which they are developing nowadays. Sofia needs a strong municipal police. It currently numbers 110 policemen, while in Brussels it is 2500-strong, commanded directly by the mayor. I think the parks and gardens in Sofia should be equipped with CCTV cameras, enough lighting and fences. Proshko Proshkov: Video surveillance is a must in any big city. If I am elected mayor, the owner of every beautiful building in downtown Sofia who renovates its facade will get a CCTV camera as a gift from the municipality. It is important to identify the most problematic clusters of streets and districts, which most often turn into crime scenes. It is a good idea to build fences around the smaller parks and gardens. But in the bigger ones we need to step up the security and increase the number of CCTV cameras for surveillance during the night to avoid the grisly crimes, which have recently shocked Sofia citizens. Vladimir Karolev: I will definitely step up security measures in the city but not the way the ruling GERB party did it – piecemeal so that their sponsors and companies linked to the parties win the public procurement tenders. Living in a Big Brother is inevitable nowadays. And besides let me remind you the two top liberal values back from the seventieth century – freedom, but also rule of law. I don't think the parks and gardens in Sofia should be fenced and locked. This would be very expensive and clashes with Bulgaria's traditions. Nikolay Pehlivanov: I am not a Big Brother fan. CCTV cameras should be installed only where they are a must and there is no other option – schools, subways. It is not realistic to expect that we can surround all the parks and gardens with fences and lock them just as they do in Paris. But the smaller parks and gardens should be fenced, as well as the playgrounds for the children. In terms of security and all other issues, Sofia needs radical solutions and determination. As things are now the institutions only follow the events. If elected Sofia mayor, what would you do about Sofia citizens' taxes? Yordanka Fandakova: Sofia should be treated for what it is – not just a big city, but a capital with all its obligations. I think that half of the money that Sofia citizens pay in taxes would suffice. Georgi Kadiev: Currently about 23% of Sofia citizens' taxes stay in the budget of the capital. If I am elected mayor, I would make that percentage no more than 25%. 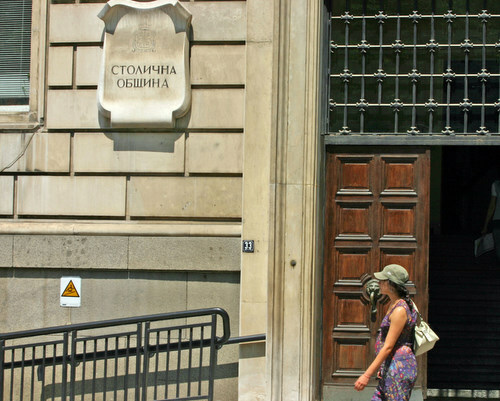 Two-thirds of Bulgaria's municipalities have revenues below BGN 1 M and depend entirely on the capital. I think it is absolutely obligatory that Sofia shows solidarity. I know it is against my interest as a mayor, but we should think about the rest of the country too. Proshko Proshkov: Sofia can keep half of the taxes, but only if it is combined with a reasonable territorial and regional policy. In the developed decentralized countries, such as Sweden, all income taxes go to the respective municipality the person lives and works. The state retains the value-added-taxes and the excise fees. The model in Bulgaria is vicious because very often the municipalities get or do not get funding out of political, not pragmatic reasons. Vladimir Karolev: Saying that Sofia can keep half of the taxes is pure populism. This approach is also dangerous because it will make half of the municipalities in the country go bankrupt. Nikolay Pehlivanov: The regulation as it is now - 23% of Sofia citizens' taxes stay in the budget of the capital – is just fine and there is no need to change it. 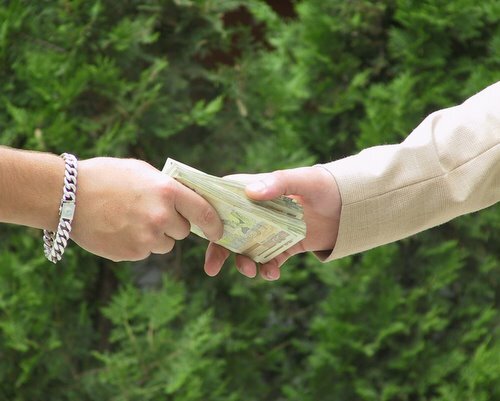 If elected Sofia mayor, what would you do about corruption combat? Yordanka Fandakova: [If I receive a corruption tip-off implicating a municipal councilor on my ticket] I will check it and in case there is information it might be true, will immediately alert the prosecutor's office. I have proven I am not a fan of the political umbrellas. Georgi Kadiev: Firstly, I can guarantee I am not corrupt and I have never been even though I have had the opportunity – I was in charge of the customs and the tax authorities. Secondly, I will establish a transparent system, which will not allow or at least will make it very hard for anyone to give or take bribes. Proshko Proshkov: [If I receive a corruption tip-off implicating a municipal councilor on my ticket] I will approach the prosecutor's office and dismiss him from ticket. I will have zero tolerance to this type of crimes. Vladimir Karolev: [If I receive a corruption tip-off implicating a municipal councilor on my ticket], I will ask the accused publicly whether this is true and will demand that he faces the lie detector. Nikolay Pehlivanov: [If I receive a corruption tip-off implicating a municipal councilor on my ticket], I will immediately approach the prosecutor's office. 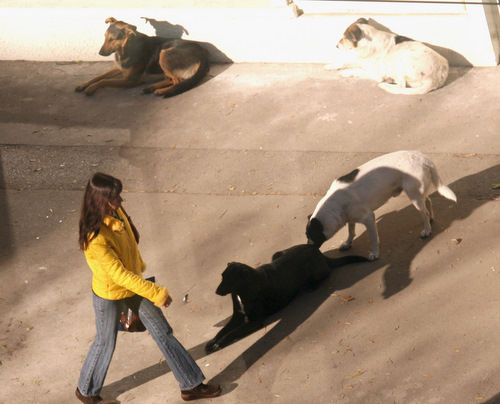 If elected Sofia mayor, what would you do about the stray dogs roaming the streets of the Bulgarian capital? Yordanka Fandakova: Stray dogs should be put to sleep only when they are sick and aggressive, which is what we are doing at the moment. The solution to the problem lies in the registry of pets, castrated dogs, building shelters and euthanasia for the sick and aggressive dogs. Georgi Kadiev: I would order euthanasia only for those dogs who are aggressive. This is what the European directive says. Proshko Proshkov: I can not order that the stray dogs be killed because I would break the law. But they just should not be out in the street. The stray dogs in Sofia should go to shelters. But first of all we should stop those environmentally friendly organizations live Ekoravnovesie, who keep one of Sofia dirtiest secrets, These people remove just one of the two ovaries so that they can ask for more money for the second procedure. Sofia needs a zoo police, which will monitor the owners of dogs and catch them red-handed when they leave a dog out in the cold. Vladimir Karolev: I would go for the so-called chemical castration. It was fairly recently invented in the United States. Nikolay Pehlivanov: Stray dogs should be castrated and taken into shelters outside the territory of the city. 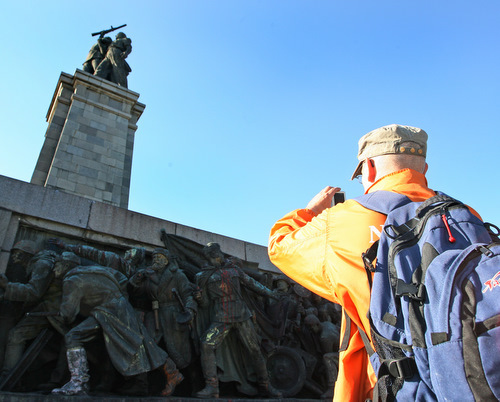 If elected Sofia mayor, what would you do about the Soviet Army Monument in Sofia? Yordanka Fandakova: I plan to put the issue to а public discussion. Georgi Kadiev: I won’t demolish it. I have no intention to demolish not a single monument. Proshko Proshkov: I will remove it and put it in the museum for totalitarian symbol. Not a single Soviet soldier has been killed in Bulgaria, it was Bulgaria which was occupied by the Soviet Union. Vladimir Karolev: I would opt for a referendum and do what the citizens of Sofia want to do with the monument. Nikolay Pehlivanov: I won’t demolish it. 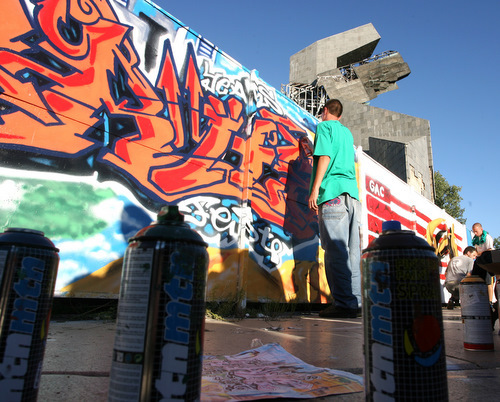 If elected Sofia mayor, what would you do about Sofia’s bid for European capital of culture? Yordanka Fandakova: Sofia is making huge progress in this respect. I am working with my other colleagues on this. 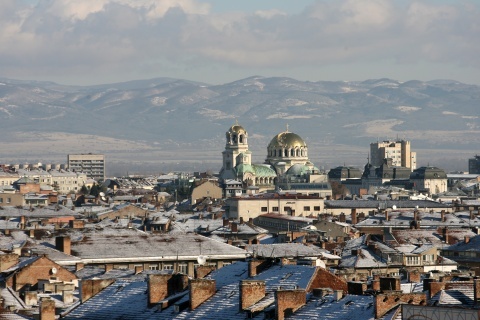 Georgi Kadiev: What European capital of culture could Sofia be! There are 10 000 stray dogs roaming its streets, traffic jams, everything is gray and dirty. First Sofia need to be more colorful. Now it is extremely ugly, especially during the winter. Proshko Proshkov: The citizens of Sofia are ready [to be citizens of the European capital of culture], but the city itself is not. Its administration does not work actively for developing cultural routes and archeological sites, which clearly needs schemes for public-private partnership. It is important what is happening on the periphery of the city. This is where alternative forms of art thrive. Vladimir Karolev: Sofia is not ready to be the European capital of culture and won’t be in the short term. Nikolay Pehlivanov: The very idea is just absurd.